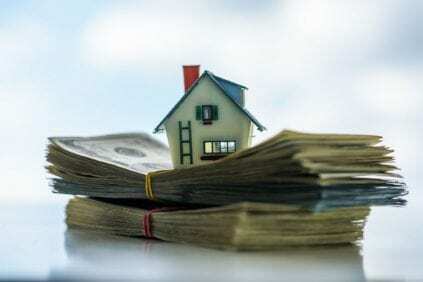 Who Is Supposed To Pay For the Title Policy In Real Estate Closings? With real estate closings, I get this question all the time especially when Realtors® and investors tell Students what “has to be” to close the deal. In our state we have three choices for who pays for the title policy and associated work involved to issue the title policy. This has nothing to do with clear and marketable title versus insurable title. Most newbie investors will only close with what is called a “fee simple” or clear and marketable title. This simply means that there are no judgments, liens or other title “deficiencies” when the title policy is issued to the new owner. By not understanding how to correct title issues, newbie investors pass over deals worth tons of money in which they would otherwise have profited. Sometimes a closing agent will tell the buyer, “You’re getting an insurable title policy”. What they don’t say is that it is not a clear and marketable title. This simply means the deficiencies associated with the “chain of title” or ownership is flawed and you as the buyer are the new owner of these issues. They do this as “exceptions” to the title policy that are located in the Schedule B-1 in the title commitment – so you can see these yourself if you just look. To get a title policy issued someone must pay the title agent (closing agent) to do the associated work. There are three parts to doing the title work that will have to be paid for by the buyer or seller or both. This determination of “who pays” is usually determined on the original Purchase and Sale Contract. In our state the choices are the Buyer pays, the Seller pays, or Dade-Broward option – as shown on the FAR/BAR 2013 contract. Option #1 – If the Buyer Pays option is chosen it means that the Buyer pays for the title policy cost of approximately 0.575% of the sale price, i.e. $100,000 x 0.575% = $575 as a promulgated rate. In addition he pays for the Lien Search (a/k/a Lien Letters) and Title Search. The Buyer paying for title is what is known as “Usual and Customary” in our state but it is not mandatory. The promulgated rate is the lowest allowed by the state UNLESS you negotiate a lower rate with the title company directly – this is little known and a best kept secret in the industry. The reason it’s a secret is the closing agent gets his commission from this fee and if the fee is lower, he gets paid virtually nothing. If is often seen in commercial closings by knowledgeable attorneys. Option #2 – If the Seller Pays option is chosen it means that the Seller pays for the title policy cost as well as the Lien Search (a/k/a Lien Letters) and Title Search just as the Buyer does in Option #1. Option #3 – If the Dade-Broward Option is chosen the Seller pays for the Lien and Title Searches and the Buyer pays for the Title policy. The higher priced the property, the more the title policy costs while the lien searches are about the same price. Conversely, the lower the price of the property, there is a break point where the Seller will be paying more for the searches than the Buyer for the title policy. A Seller can request an addendum that the Buyer pays for all title costs or vice-versa, the Buyer can request that the Seller pay all title costs. There is no “law” that governs who pays what but the Purchase and Sale contract is where this is determined. While this is contract law, always try to have your opposing party to your contract pay for as much as possible to maximize your profits on every deal. One last note, typically whoever pays for the title policy gets to choose the closing agent, but a simple clause in your contract’s addenda section can override this by saying that you (as Buyer or Seller) gets to choose the closing agent and the opposing party pays for the title work– the best of both worlds. Ever since I mentioned this years ago, a few banks have used it on their REO Addendums – read these carefully if you are doing REOs. Next: Next post: Should You Ever Sign A Hold Harmless Agreement At Closing? Is The Real Estate Market Too High? Should You Ever Sign A Hold Harmless Agreement At Closing?